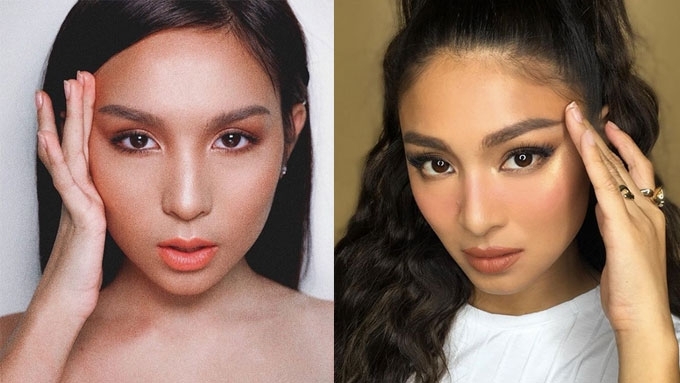 What do you think of Kyline Alcantara (L) and Nadine Lustre's migraine pose? This faux headache stance has been popping up on our feeds left and right, and as good as it looks when Bella does it, we've seen local celebs and influencers pull it off, too. We don't blame them—that mini temple stretch does wonders for what could be an otherwise boring self-portrait. So much so that we rounded up some of our favorites below and caught some quality tips for your next selfie sesh in the process.